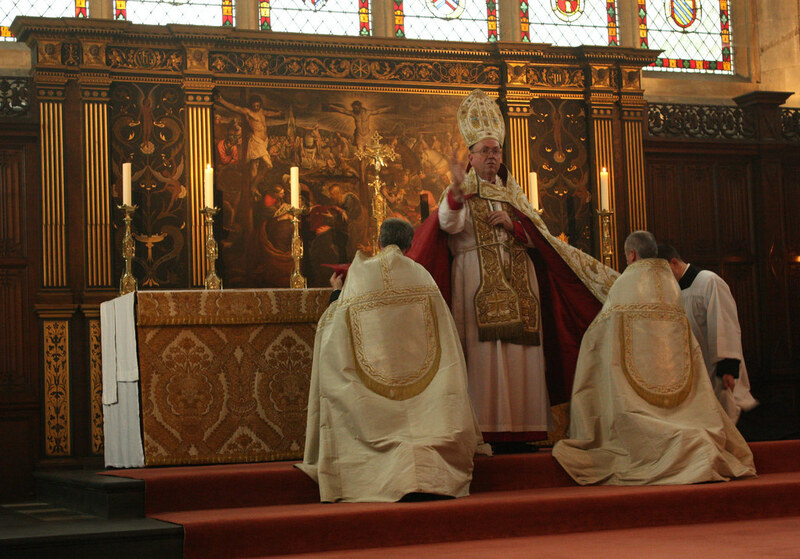 A little late, I know, but warmest congratulations to Thomas Skeats and Robert Gay who were ordained last Saturday at Blackfriars in Oxford by Bishop Longley, and the internet's finest Catholic photographer, Fra Lawrence Lew who was ordained deacon. On the Godzdogz blog there is also this video from 1964 to promote vocations to the Dominican order. A Dominican priest, ordained ten years, reflects on his own vocation to explore God's truth together with his brothers under Mary's protection. There is some fascinating footage of the Dominican rite of Mass. It is always encouraging to hear good news and I am delighted that the Dominicans both here and in Ireland are flourishing.